Last weekend I flew to Vegas just because…the original plan was to drive to Orlando and hit the parks but unfortunately the weather forecast wasn’t ideal for outdoor activities so I decided to head somewhere else. My last trip to Vegas was in 2017 so I thought another visit was just right on time plus the fact that the weather forecast was ideal. In an hour I booked my flight and a room at the Bellagio Hotel with a view of their fabulous fountains. I specifically booked the fountain view room so I can take night shots of the strip and the dancing waterworks. To my dismay, the hotel windows were covered with dust that my DSLR captured every molecule of the desert sand that was stuck on the window. I tried adjusting the focus on my lens to no avail. I decided to try my iPhone 7Plus by pressing it flat on the glass window and lo and behold the dust was nowhere to be seen in my photos. Of course the quality would have been much better had I used my DSLR but somehow my iPhone did an awesome job as well. I just finished a two-week cruise in South America sailing from Buenos Aires, Argentina to ports in Uruguay and Chile. This was the longest cruise I’ve ever sailed…so long that when I left it was summer, made it halfway by winter and got back around summer again. I know it sounds insane so allow myself to clarify…when my ship sailed off Buenos Aires summer has just begun and the city was sizzling. Then we headed to the tip of South America passing by glaciers and snow capped mountains even experiencing snowfall in Ushuaia, Argentina. The cruise finally ended back in Buenos Aires with our ship docking on a hot summer morning. I took hundreds of photographs during this trip and will be posting them in the next few weeks. For this post, I am featuring a photograph I took of this magnificent sunset with a woman pensively looking out to sea. It was one of those rare sunsets wherein the entire sky looks like it’s on fire. Other photos below feature more passengers enjoying as well the magnificent sunset. Today we commemorate that fateful day in 2001 when America was attacked by terrorists and the whole world turned a corner and was never the same again. I was still in the Philippines when 9/11 happened but I followed every moment of that day on television watching in horror as both towers crashed to the ground. Twelve years later I found myself in New York City standing at the very spot where it all happened fighting my emotions while remembering the events of that day. The memorial is such a somber place and is deeply sacred not only to every American but also to every citizen of this world who lost a loved one, a friend and a countryman. I’ve been to New York multiple times and everytime I visit I always drop by the memorial to pay my respects. The photograph above was taken last year when I brought my parents, who were visiting from the Philippines, to New York for the first time. Next month I will be in New York City and just like my previous trips will revisit the memorial to pay my respects…although this time not just as an immigrant but as a proud citizen of this great and beautiful country. This is probably every billionaire’s dream view for an apartment in New York City, although unfortunately for them this view is already taken by the viewing deck of the 30 Rockefeller Center or more famously known as the Top of the Rock. The viewing deck provides visitors with stunning views of Manhattan covering every angle of the city and every major New York City landmark from the Empire State Building, Chrysler Building and the Freedom Tower to the Central Park, Brooklyn Bridge and the Statue of Liberty. The deck is always packed with tourists so this photo I took is a very rare moment as if I had the entire floor to myself. I also consider myself very fortunate to have been situated perfectly at the right spot as it allowed me to capture the Empire State Building right through the middle window. New York City is my ultimate favorite city and I try to visit it at least every year and whenever I’m in the Big Apple, the Top of the Rock is always part of the itinerary for my photography. I decided to process this photo in black and white in order to create a timeless and romantic mood to the photo. Happy Valentines Day, everyone! 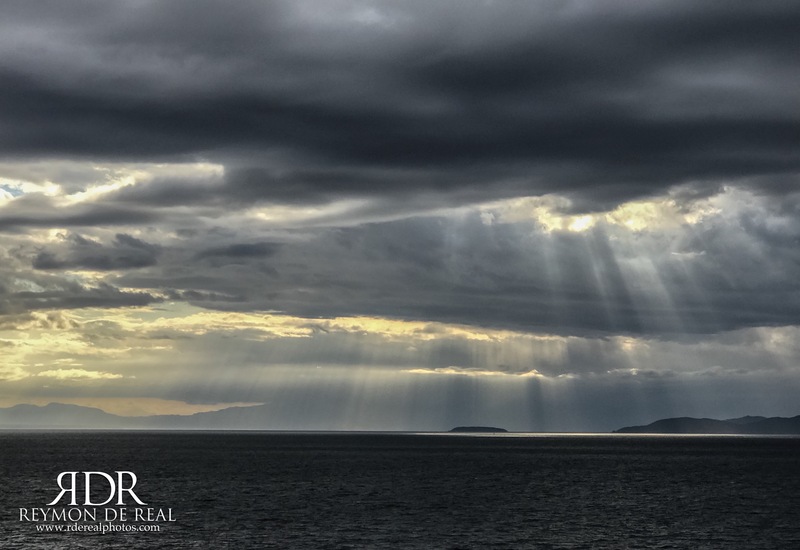 It was a beautiful sunny afternoon and we were sailing out of Vancouver, Canada towards Ketchikan, Alaska for a week of cruising in “America’s Last Frontier” when suddenly the skies transformed from bright blue to gloomy gray. We were aware of the weather forecast expecting rain throughout the cruise but didn’t expect the change to happen two hours after we left the port. So I headed for the Crow’s Nest of Holland America’s Noordam ship where I thought I would find the best remedy to a gloomy weather…alcohol! 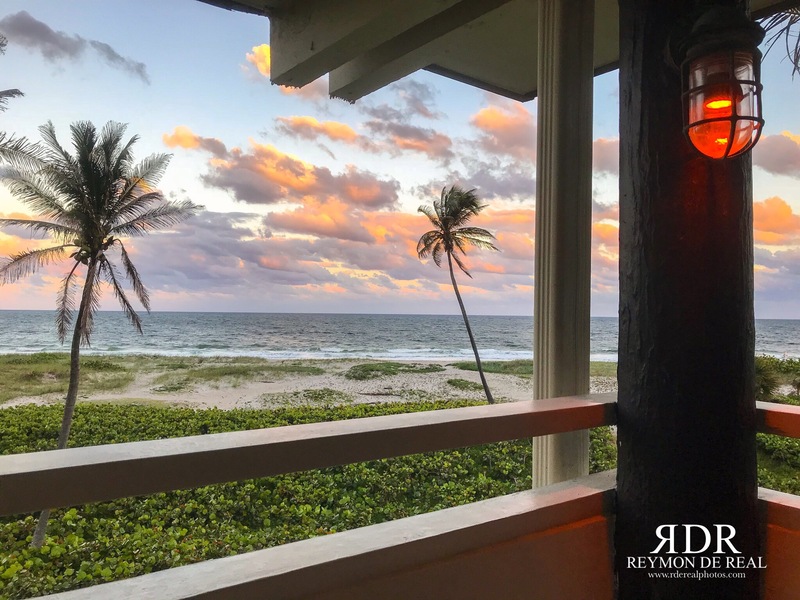 As I quietly enjoyed my White Russian while staring out at sea, I noticed the rays of light filtering through the clouds reminding me of those curtain lights they use in the theater. It suddenly dawned on me that nature’s spectacle was occuring before me so I pulled out my ever reliable iPhone 7Plus and took multiple shots. Had it been a regular sunny day, the scene would have been a plain and simple view of the sky, islands and sea but thanks to bad weather, I captured a hauntingly beautiful photo of the ominous clouds filtering the sunlight and casting dark shadows on the water. On that day I learned how bad weather surprisingly turned out to be the best thing to happen with my photography.